Earlier this year, a stretch of tarmac in Sweden made headlines across the world. What was unique about this seemingly dull motorway outside of Stockholm that managed to catch the world’s attention? This road happened to be the first of its kind; a road that can charge electric vehicles on the go. With two tracks of rail embedded in the tarmac with a moveable arm that can attach itself to a vehicle, it can charge an electric battery in motion. As car manufacturers across the world struggle to deliver longer-lasting batteries, there’s a road in Sweden that can charge those batteries without the carrying vehicle having to remain stationary. Some countries are doing extraordinary things to promote Electric Vehicle charging. The picture in Britain, however, is slightly different. When it comes to investing in major infrastructure, Britain often finds itself behind other European nations. For example, the French have had 200mph high speed trains since at least 1995 whilst Britain is still getting to grips with the cost of HS2 without a single piece of track being laid as of yet. At the outset, it’s important to outline the relevance of EV charging and how its promotion can address a range of issues across the country as well as in our major cities. In London at least, there is an air pollution and air quality crisis. The Mayor of London has already endorsed the proliferation of electric vehicle charging infrastructure in a bid to clean up the city’s air. If we can reduce the number of vehicles emitting harmful pollutions whilst transitioning drivers to non-polluting vehicles, we can reduce air pollution whilst busting the age-old myth that green policies harm existing traditional economic activities. But the benefit of electric cars won’t just be felt on the busy streets of London. With the UN Intergovernmental Panel on Climate Change’s recent report suggesting that we only have a dozen years to dramatically reduce CO2 emissions , tackling climate change is now a greater geopolitical imperative than ever before. Electric vehicles, when used in conjunction with a renewable energy grid, are one of the best tools in our arsenals for combating this problem. However, for electric vehicles to become the norm on our streets, there must be solid infrastructure in place to ensure owning and driving one is a genuinely viable, and ultimately preferable, option for ordinary people. Just as petrol stations proliferated across the country in the early days of the car revolution, EV charging points need to also proliferate. 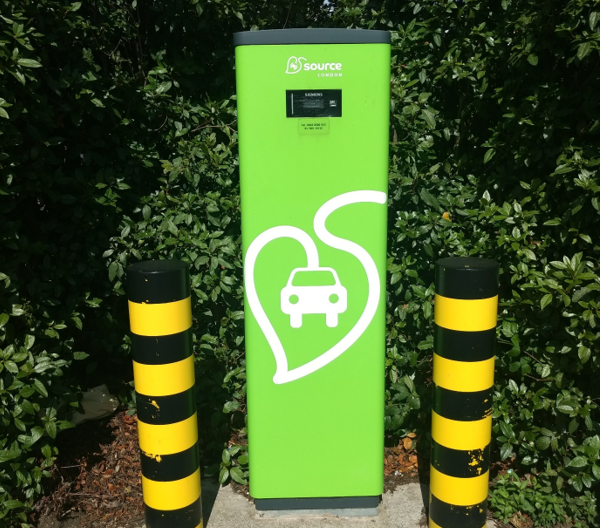 Earlier this year, Ministers from the Department for Business, Energy, & Industrial Strategy wrote to councils across the country urging them to take advantage of the On-street Residential Chargepoint Scheme – a funding pot which helps local authorities cover the cost of installing charging points. Having been available since 2016, the scheme was only taken up by 5 councils in the whole country at that point. Just last month in September, energy company SSE claimed thousands of EV charging points have not been rolled out in London due to local authorities frustrating the process. Citing slow decision-making and bureaucracy, SSE said the negotiations with 33 individual London boroughs has been sluggish. The Guardian reported 130 charging points in Southwark were being held up because highways management had not given the go ahead even though planning consent was already granted in 2016. Councils are at the forefront of public sector delivery and should be leading the way in upgrading local infrastructure. And some councils around the country are putting London’s boroughs to shame by spearheading this infrastructure transition. This month, Edinburgh City Council said it is the first city in the UK to put forward an EV infrastructure business case to roll out a citywide network of charging points worth £3.3 million. Public Power Solutions, a company wholly-owned by Swindon Borough Council, is currently conducting an EV charging feasibility study on council assets to ensure this matches residents’ future needs while also being commercially viable. Some Councils are making progress, but not all and not fast enough. The high-level rhetoric advocating EV charging from government ministers and mayors is not being reflected in local government. Councils can electrify our electricity infrastructure and hyper-charge the transition from fossil fuels to electric. But local Councils need to start taking this issue seriously and begin to cooperate with Government, over councils, business and local people to make an electric future a reality.